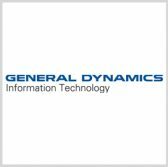 General Dynamics‘ information technology business has announced more than 40 job vacancies for bilingual customer service representatives and quality assurance specialists at a company-operated contact center in Imeson, Jacksonville, The Jax Daily Record reported Friday. The positions will support census questionnaire assistance services covered by a $430 million contract that General Dynamics Information Technology secured from the U.S. Census Bureau awarded in 2016. GDIT looks for potential candidates who are fluent in English and other foreign languages such as Filipino, Cantonese, Mandarin, Arabic, Spanish, Vietnamese, Korean and Russian.